I love ghost chairs and that alone would have drawn me to this image. 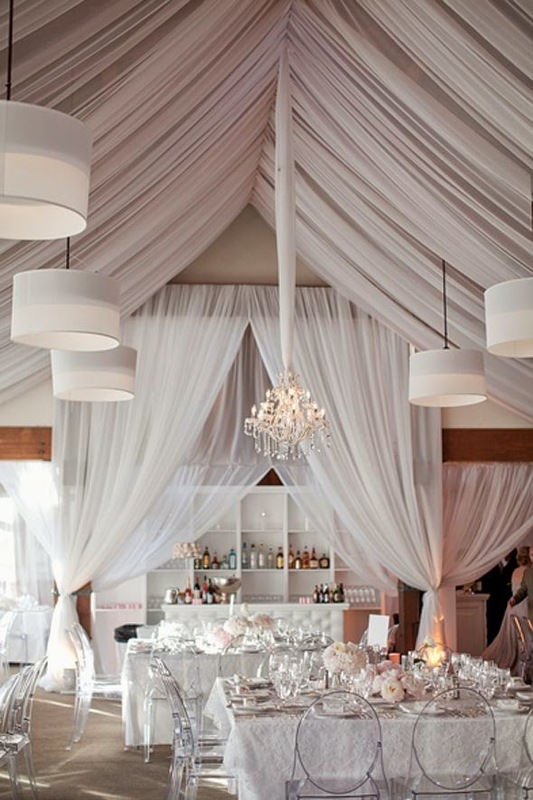 But to top it off, I love the draped fabric, the clustered floral arrangements, and the textured linens. Throw in pops of green or blue and I'd be ready to move right in. What types of reception decor are catching your eye lately?